Left or right-hand light alloy ascender handle with ergonomic rubber grip for climbing ropes and new steel cam. Innovative handle ascender with integrated pulley to be used together with auto-blocking descender (e.g. SPARROW). Innovative double-handle ascender developed for tree climbing with new reinforced “V shape” structure and working load increased to 140 kg. 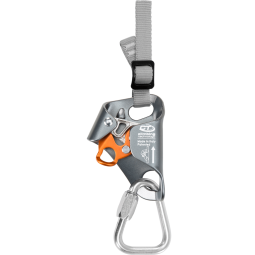 Light alloy right-hand chest ascender for climbing up ropes, with new steel cam with anti-inversion system. Ascender for right or left foot which, used in combination with CHEST ASCENDER HC, QUICK'UP + or QUICK'ARBOR H, makes easier and faster the rope ascent. Ideal for tree climbing and working at a height. Left or right foot ascender that facilitates and expedites rope ascending in speleological operations when used in combination with QUICK'UP + or CHEST ASCENDER HC models. Spare lower strap that fits to both right and left versions (QUICK STEP-A and QUICK STEP-S) and to the universal support QT UNIVERSAL. 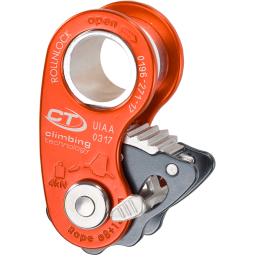 Universal fixing support for QUICK TREE foot ascenders. It that can be installed on any boot thank to the webbing system with regulation buckle. 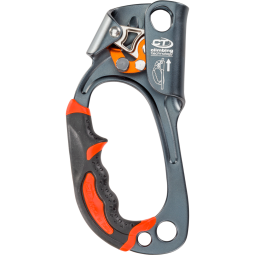 QT Spurs is a fixing support for QUICK TREE foot ascenders designed to be installed on all models of tree climbing spikes. Robust and compact light alloy pulley with fixed flanges, particularly suited for hauling and load deviations. Robust and compact light alloy pulley with mobile flanges, assembled on self-lubricating bushes. Versatile and compact light alloy pulley with mobile flanges, sheaves mounted on ball bearings. Versatile and compact light alloy pulley with mobile flanges and additional attachment point to allow for diverse and complex hauling operations. Versatile and compact light alloy twin pulley with mobile flanges, it is ideal for realising hauling hoists. Triple pulley with mobile side plates, very versatile and robust. It allows the insertion of two connectors in the upper eyelet and it has an additional attachment point suitable for a single connector. Triple pulley with mobile side plates, very versatil and robust. It allows the insertion of two connectors in the upper eyelet. Innovative pulley with mobile light alloy side plates, developed for tree climbing. Light alloy double pulley developed for the re-direction of two ropes during work manoeuvers. Light alloy twin pulley with fixed side plates and stainless steel sheaves mounted on four ball bearings. It is particularly indicated for use in the adventure parks. Combined anchor and pulley that allows evacuation by allowing rescuers to be lowered along the cable or when underlying terrain permits it. Pulley for tree felling for high loads 80 kN, with aluminium pulleys and flanges and steel axles and self-lubricating bushings. Kit comprising a CHEST ASCENDER +, a triangular maillon rapide and an adjustable supporting sling.